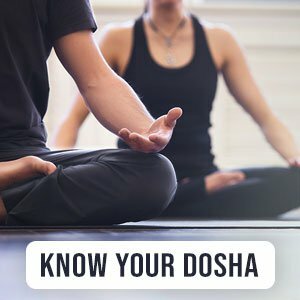 To gain a comprehensive understanding about sleep you will first need to understand your dosha. Sleep disorders, according to Ayurveda, are primarily caused by an imbalance in the Vata dosha, but other doshas may also be the root cause. Imbalances in the Vata dosha can lead to anxiety, hyperactivity or hypersensitivity. Below are sleep disorders cures for your dosha type. If you are a Vata type, it is recommended that you develop a sleep routine where your bedtime is around 10 pm. It is recommended to sleep on your left side, and apply warm sesame oil to the soles of your feel just before bed. Sesame oil massages are an Ayurvedic insomnia cure. Pitta imbalances are usually associated with interrupted sleep. In order to have a good night's sleep it is recommended that you aim for about 7-8 hours of sleep. Your bedtime should vary between 10 and 11 pm and it is also recommended to sleep on your right side. Opposite to that of the Vata type. A coconut oil massage before bedtime is also advised. The primary disorder associated with the Kapha dosha is that of oversleeping. That and waking up in a state of lethargy, even after a full night’s rest. Kapha type individuals are advised to get about 8 to 9 hours of rest and sleep at around 11 and 12 pm. It is also recommended to sleep on your left side as well. Use a massage with sesame or mustard oil on the soles of your feet and scalp. You can find all of the oils at our shop here. One common occurrence between the three dosha types and Ayurveda is that it is important to try natural remedies first and create a sleeping ritual. Additionally, sleep disorders may be caused by a build up of ama (toxins) in the body. In that case, it might be useful to try an Ayurvedic detox like Panchakarma. You can find out more about it here. Before you get to your Panchakarma treatment you could try these two simple remedies. Take 1 tbsp of apple cider vinegar in lukewarm water and honey about 30 mins before your bedtime. You can supplement that with 1 capsule of valerian root (or take tagar powder with milk) for sleep. This should do the trick. Don’t forget to set the alarm!